Every few years you hear the same old news about "new" horoscope dates from critics of astrology. They report astrologers' signs of the zodiac don't correspond with actual constellations, and your Sun sign has changed. They also say astrologers ignore the 13th Sign, Ophiuchus, despite the fact the Sun passes through it each year. Though some of these statements are true, lack of knowledge about the mechanics of astrology has led to incorrect assumptions. 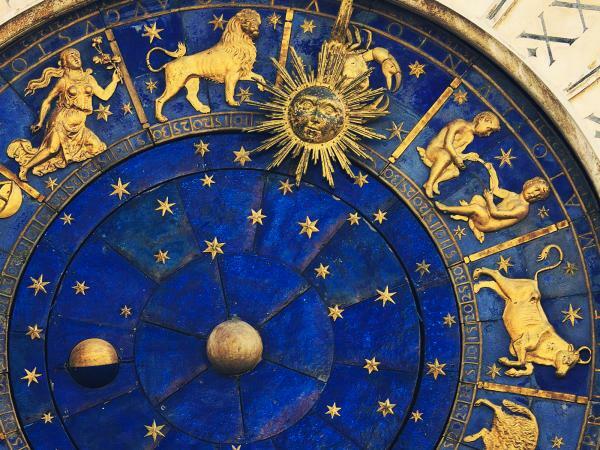 Spoiler: There are lots of "old" dates, but no "new" Zodiac dates, and neither your Sun sign nor your horoscope has changed! The dates listed below are when the Sun is located within the boundaries of each sign related to the constellations, as well as the Tropical and Sidereal Zodiacs. However, all the dates will change slightly from year to year. Is There a 13th Astrology Sign? There are 88 constellations, whose boundaries were defined by The International Astronomical Union (IAU) in 1930. These boundaries vary, sometimes considerably, in size. As an example, the Sun spends 46 days in Virgo and only 7 in Scorpius. Below are the approximate dates the Sun enters and leaves the 13 constellations that touch the ecliptic. The signs of the Tropical Zodiac, each 30 degrees of arc along the ecliptic, were named after 12 of the constellations and are defined by the changing of Earth's seasons. The tropical sun is used in almost all popular astrological columns. Below are the approximate dates the Sun moves through each sign of the Tropical Zodiac. The sidereal (star) zodiac begins its yearly cycle when the sun aligns with the constellation of Aries. Then, like the tropical zodiac, divides the ecliptic into 12 equal sections of 30 degrees each. Below are the approximate dates the Sun moves through each sign of the sidereal zodiac. All the dates above are listed on The Real Astrology Academy: Tropical vs. Sidereal. Ophiuchus, the serpent Bearer, is a large group of bright stars that can be seen in the dark sky of the northern hemisphere from June through October. 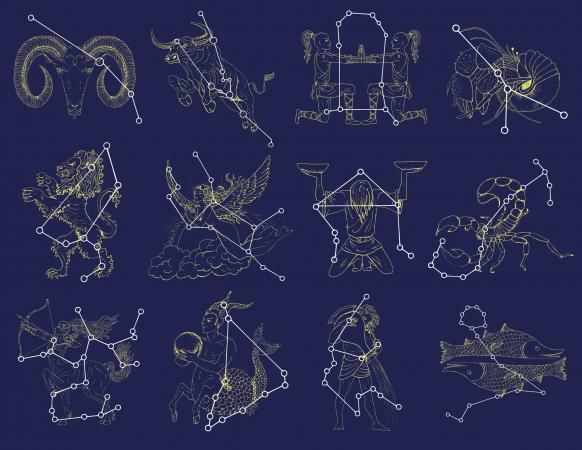 Astrologers who use the Tropical Zodiac believe the mythology of the surrounding constellations are an important part of the nature of the sign. So, Ophiuchus is certainly not irrelevant. It's just not an astrological sign. The difference between the tropical zodiac and the sidereal zodiac changes slightly each year due to the precession of the equinoxes. Currently, the difference is about 24 degrees. In the tropical zodiac, the sun enters Aries on March 21; in the sidereal zodiac, the Sun enters Aries on April 15. This difference means some individuals may very well have a different sun sign in the sidereal zodiac. However, the slow backward drift of the constellations will not ever change the sun sign you were born under in either astrological system, nor will a constellation ever be an astrological sun sign. A foot can be a unit of measure, something you put in a shoe, or the base or bottom. It's all about context. Just because things have the same names doesn't mean one is wrong. Every time these stories about "new" dates break, astrologers all over the world are flooded with inquiries and have to explain and reassure clients, family, and even strangers that there are no "new" dates and that neither their sun sign nor their horoscope has changed. 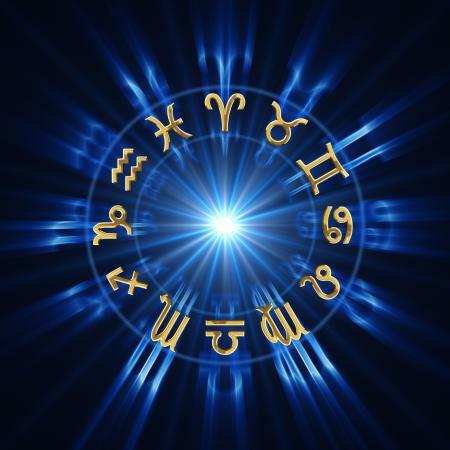 The good news for astrology is that astrologers get a chance to educate the public as to the mechanics of astrology and the different ways of slicing and dicing the sky.